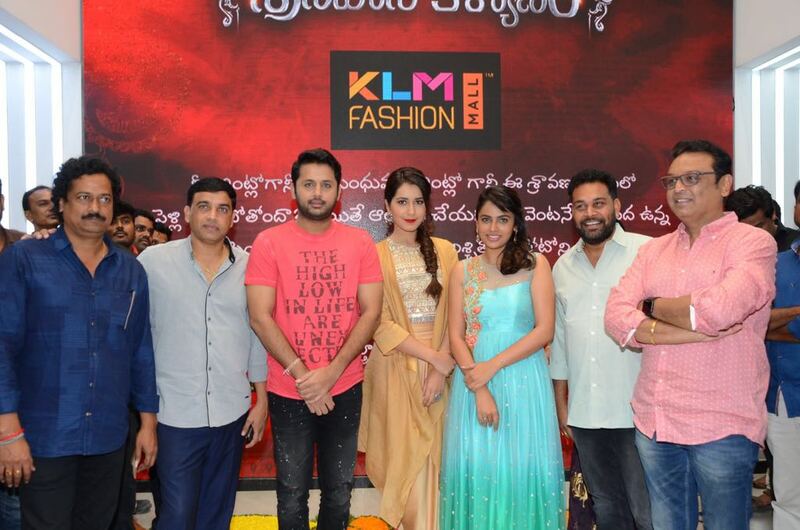 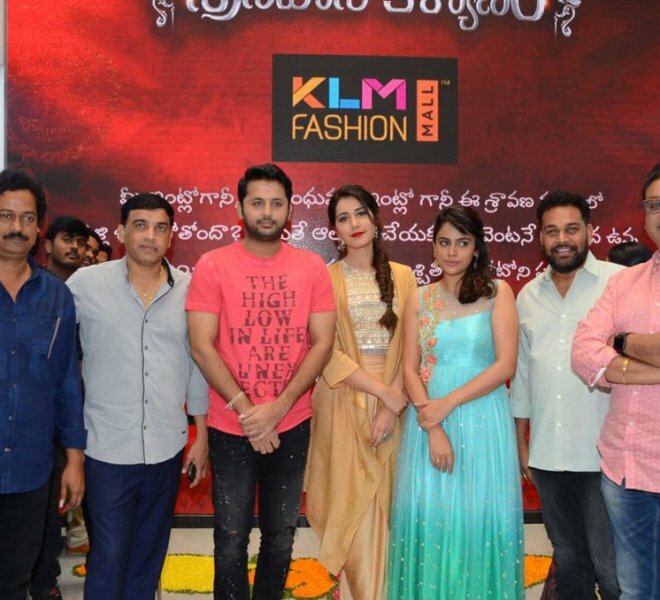 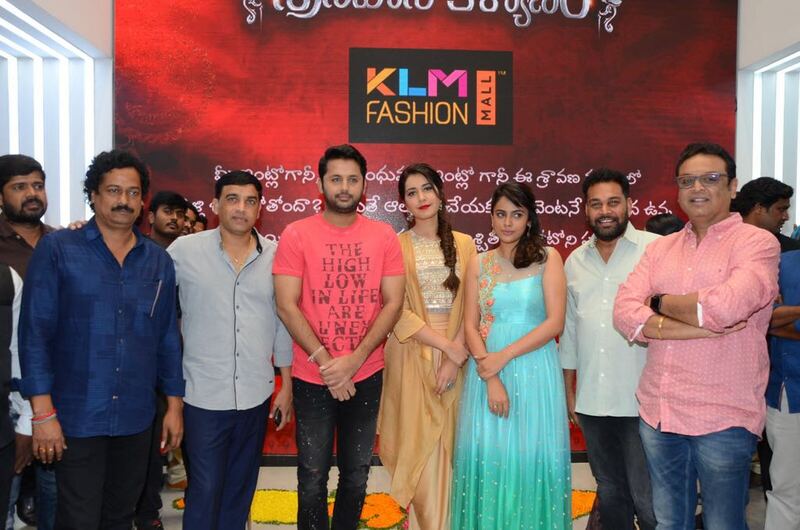 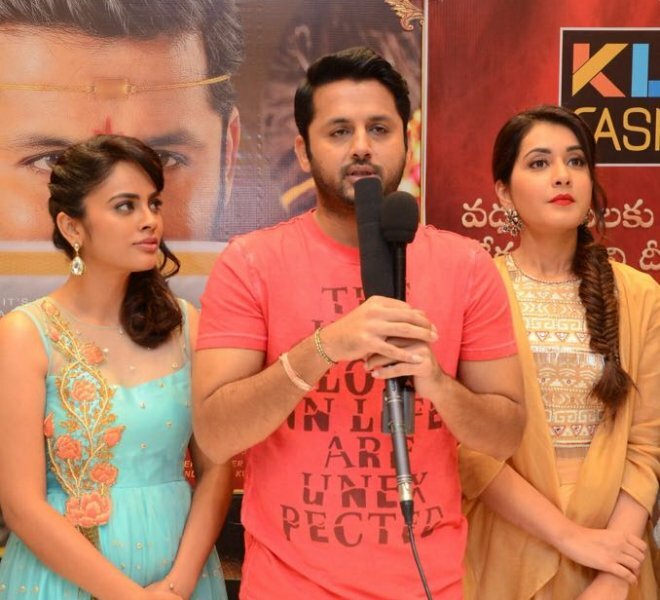 Srinivasa Kalyanam movie teams visit to KLM Fashion Mall Ameerpet . 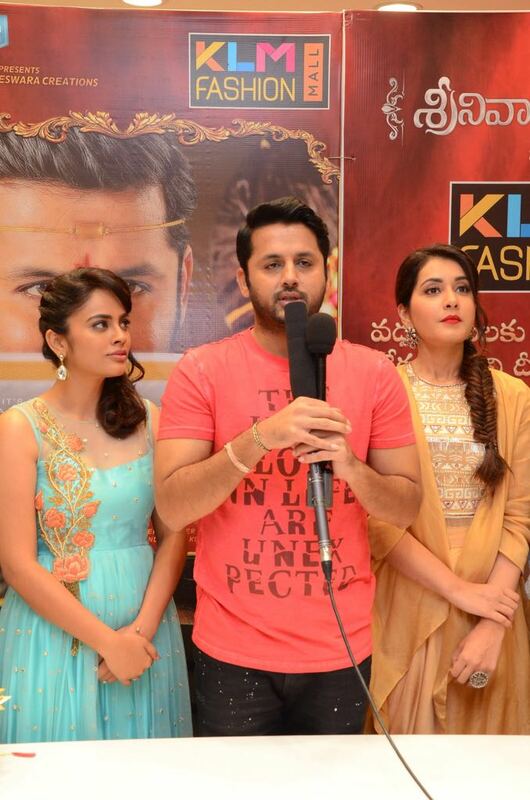 Celebrated movie success meet and also briefed about the “Pattu Vastrala Pradanam” campaign. 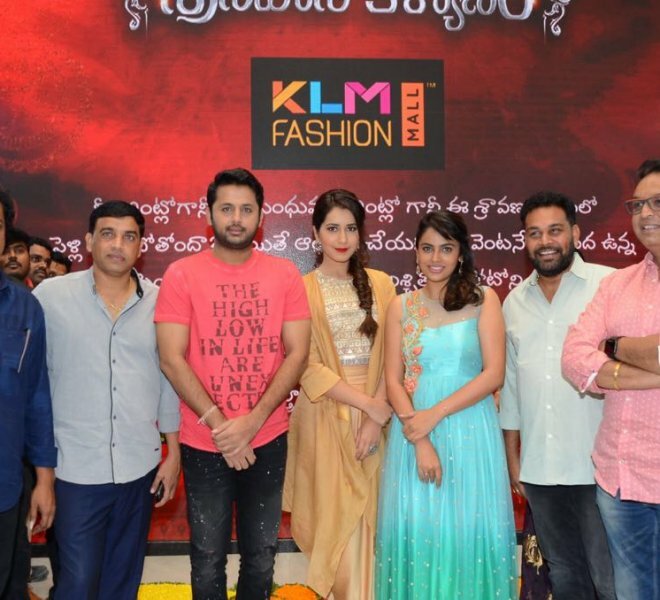 Srinivasa Kalyanam team and KLM Fashion Mall together are presenting Wedding Pattu Vastralu to the bride and groom who are getting married in this sravana masam. 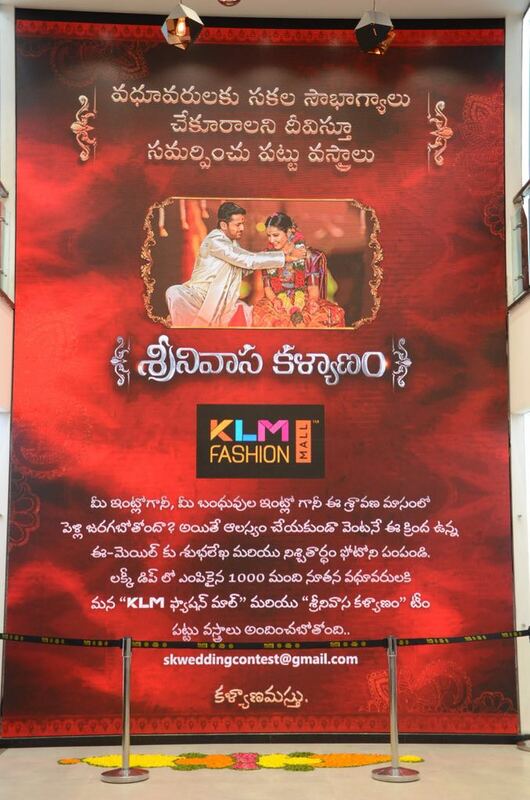 Participants need to courier their wedding card along with engagement pic.